Relating to both the practice of teaching media studies and also to theoretical questions within media and cultural studies, this study examines pop music, media studies and the micro-cultural politics of adolescence. It argues that media education has neglected pop music, and that, as something of enormous significance in the lives of young people, it merits a serious place in the field. ; The author provides accounts of media studies in action, including detailed accounts of classroom discussions, interviews with students and teachers, examples of students' work and their biographical reflections. He links this to broader debates both within cultural studies and around the place of pop music in young people's lives. 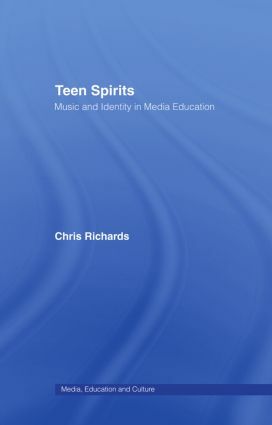 ; "Teen Spirits" should be of interest to students of media and cultural studies, as well as to practicing teachers, and readers with an interest in questions of youth and identity.